Jess Seager (28) and her sons Jayden (6) and Cody (3) were killed when their Toyota Landcruiser collided with a truck outside the Noble Falls Tavern about 8.40am on July 31. Tavern owner Brian Wickins has organised a charity motorbike ride through Midland and the Perth Hills tomorrow to raise money for Ms Seager’s partner Gabe Bonini and to help pay for the funerals. ‘It’s hard enough to deal with losing your family in a car crash, let alone thinking about how you are going to pay for the funeral,’ Mr Wickins said. 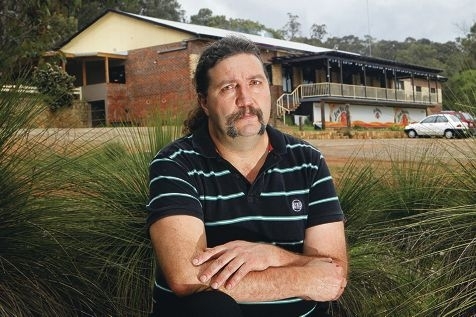 The publican said the Gidgegannup community always stuck together during times of crisis. ‘If anything happens to locals we all jump in and help. We want to help ease the financial burden for this father,’ he said. Mr Wickins was critical of the part of Toodyay Road where the crash occurred, which he described as dangerous and badly in need of an upgrade. ‘The corner has not enough vision, the road isn’t wide enough and the speeds are too high,’ he said. The Associates Motorbike Club is helping to organise the charity ride and has recruited other clubs to participate. More than 200 people and six different motorbike clubs are expected at tomorrow’s ride. A hamper will be raffled and there will be a silent auction. Mr Wickins is encouraging everyone to come along and donate to the worthy cause.